Pretty homes deserve pretty decor. If you’re looking to give your home a makeover or are moving into a new space and are wondering how to design it, head to this store. 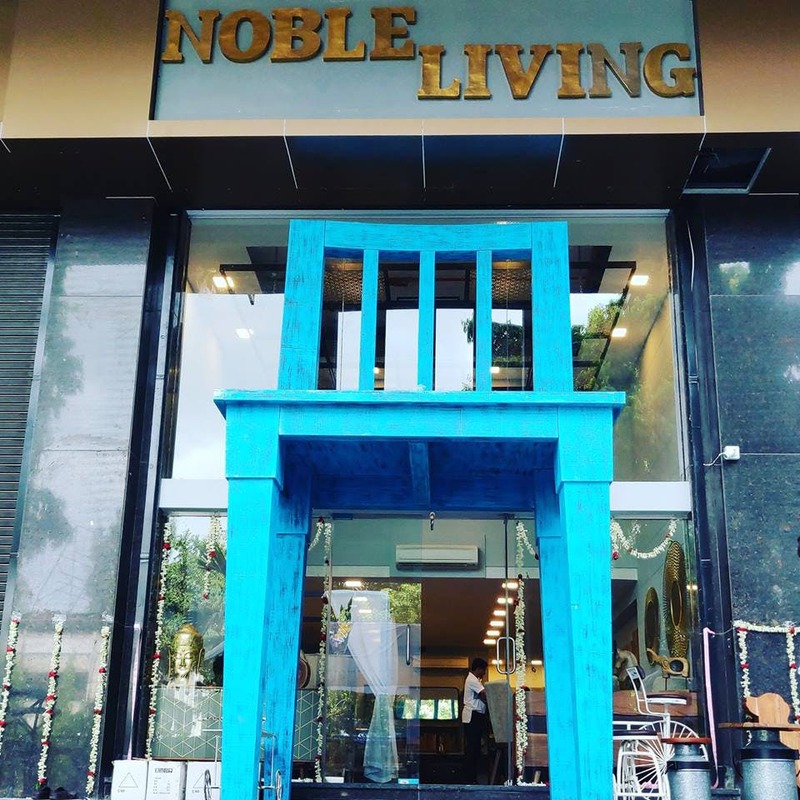 Noble Living in Gultekdi is a beautiful store with even more beautiful products. Noble Living welcomes interior designers and architects to choose products from their collection. The store has designed a few themes around which they curate products. All products are brought in from artisans and designers who especially design pieces for the brand. The store houses everything from furniture to other pieces that you could add to your home simply for art. But, a lot of their pieces are mostly functional. You’ll find wooden and metal bookends, chairs with the cutest prints, cool wall hangings and clocks as well as bigger items like a bar trolley, wooden coffee tables. They also showcase desk accessories you could use at work. We found cool wooden pen-stands that accommodate all your stationery supplies on the desk, letter holders among other items. We loved the wall wine rack that could hang on a wall at your home if you don’t have space for a whole cellar. Their wheeled coffee table had a modern and rustic finish and would look great if your home’s design is contemporary. We also couldn’t stop admiring their kitchen and tableware collection: wooden trays, a wooden crate perfect for six beer bottles, wooden coasters and cheese and cutting boards and whatnot. The overall collection at Noble Living is carefully curated and it’s hard not to fall in love with the pieces they house. We’d love to buy so much for a much-needed house makeover. The price range, of course, varies as per products. But for small items like a set of coasters you could expect the price range to start at INR 500. We’d love to see a collection that also includes cement and polymer, as a lot of current home-decor trends incorporate these materials. Shop for some bookends here, they have a great collection of those. And, it’ll be functional art for your home.